This is the only card I made from the Simon Says Stamp December 2017 Card Kit. I just couldn’t bear to cut into this cute scene. 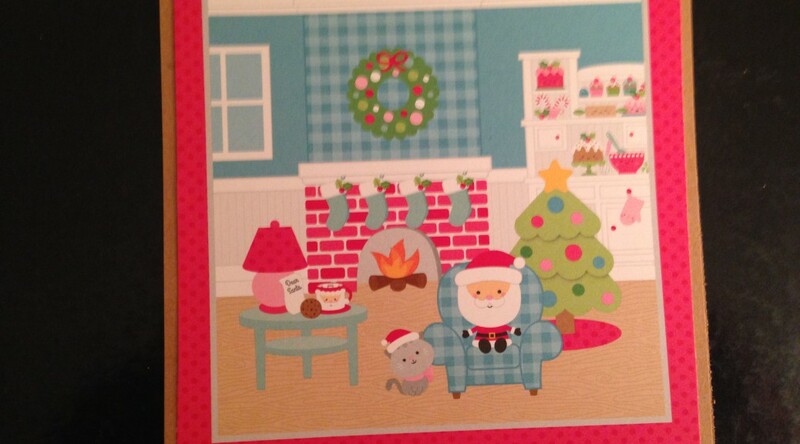 This is the card my kiddos will leave out for Santa on Christmas Eve. Extra Details: I trimmed the patterned paper down to 5.25 x 5.25 inches and adhered it to a kraft card base cut at 5.5 x 5.5 inches. I got my Simon Says Stamp’s December 2017 Card Kit in the mail this week. 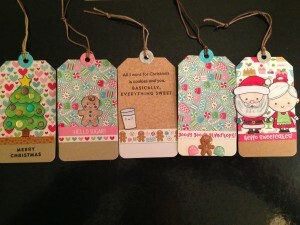 I don’t typically make a ton of Christmas cards, so I turned the kit into tags. In the end I made over 40 tags, I even used all the paper. That’s a first. There are a few more tags, but my kiddos have already claimed them and tied them on packages. 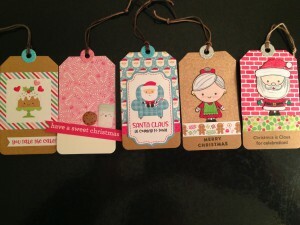 Extra Details: I began these tags by cutting the kraft and white card stock from the kit in to tags shapes. 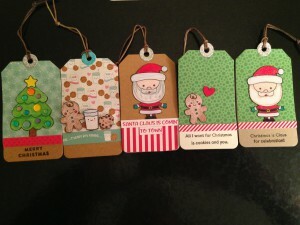 I was able to get 10 tags from each sheet of card stock. I added a sheet of white and kraft card stock from my own stash, so I had 40 tag bases when I was finished. 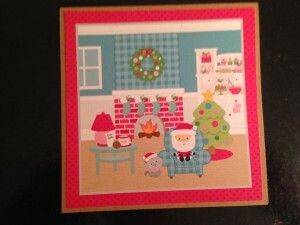 I used the cut apart patterned paper into the rectangles and strips. 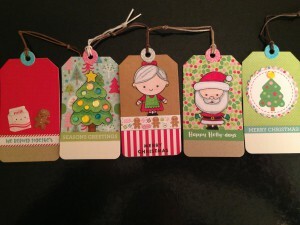 I used these to decorate my tags and add some sentiments. I also used some of the strips from the paper with the long strips. I trimmed most of the rest sheets of patterned paper from the kit into 3 inch by 6 inch rectangles. My tag die is longer than three inches, but I liked the extra cardstock at the bottom of each tag. It offered a nice place to put a sentiment. 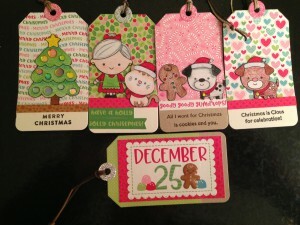 I was able to get 4 tags from each patterned paper. 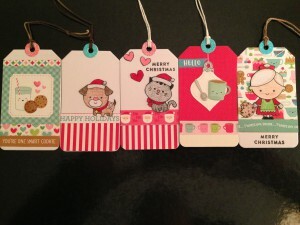 I adhered the patterned paper tags to the cardstock tags. I stamped and colored the images from the stamp set on some white card stock. I used colored pencils to color everything. I fussy cut everything out and painted the edges black to hide any cutting errors. Next up is the funniest part. 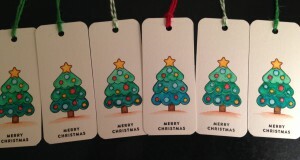 I started decorating the tags. My kiddos helped me decided on a few of the tag layouts. 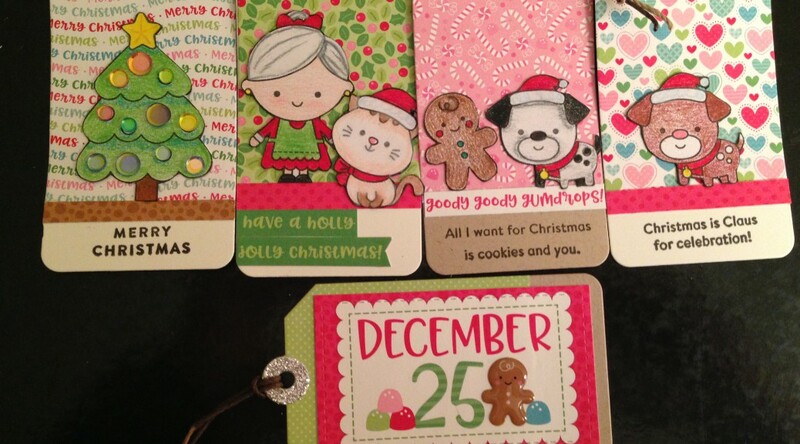 I added the Doodlebug sprinkles to some of the tags for added dimension. 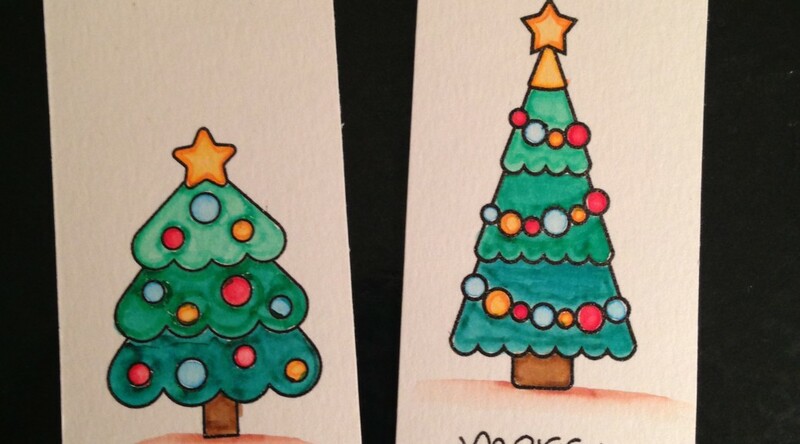 I also used a few of the sequins included in the kit to decorate the trees. I added sentiments from the stamp set where needed. I cut the hole re-enforcers from the glitter cardstock included in the kit. 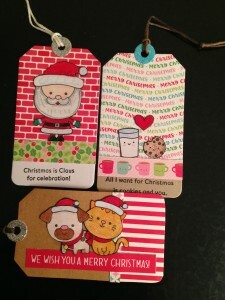 I adhered these with liquid glue and then added some twine to finish off the tags. 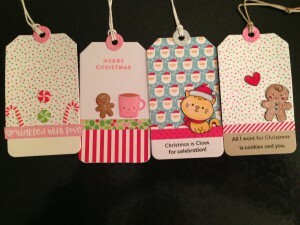 It’s the time of year for Christmas tags! 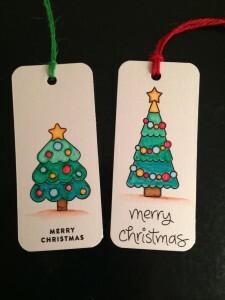 I used two different Christmas tree stamps for these tags. The stamps are from different companies, but have similar feels. I love the way they coordinate with each other. Extra Details: I began by cutting a full sheet of watercolor paper into six rectangles. I rounded the corners with a corner rounder. 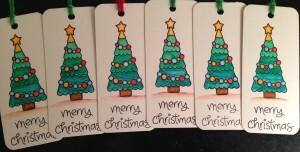 I stamped and clear embossed the trees and sentiments on each tag. I used Crayola Fine Line Markers and a water brush to add color to everything. Lastly, I punched a hole in each tag and added some twine.